Learn more about how Traineeships could help you with our handy guide. You can also download our fact sheet. Traineeship Information for Employers: What is a Traineeship? A traineeship is a flexible education and training programme with work experience that unlocks the great potential of young people, aged 16 to 18, and prepares them for their future careers by helping them to become work ready. At its core are a high-quality work experience placement with an employer, with work preparation training and English and maths if needed provided by a training provider. This gives young people the skills and experience that employers are looking for, helping them secure an apprenticeship or other job in the future. The process can be changed and adapted during the traineeship so that you and the young person both get the best out of the programme. Training costs are met by government funding. Employers are not required to pay the young person taking part in the traineeship but may support trainees with expenses such as transport and meals. Undertaking a traineeship does not impact on a young person’s benefit entitlement. Traineeships last from 6 weeks to 6 months. What are the benefits of offering traineeships for employers? Employers can design a high-quality traineeship in partnership with a training provider – one that suits both the needs of your business and the needs of the trainee. The length of commitment is relatively short, and the programme is fully funded by the government. Traineeships allow you to nurture the next generation, helping your business to increase its capacity, and productivity, develop a loyal, talented workforce and contribute to tackling youth unemployment. Your current employees will have the opportunity to build their own mentoring and coaching skills supporting the trainee. Training costs will be met by government funding. 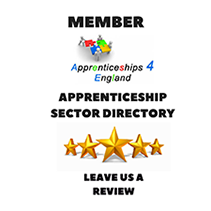 There is also a free recruitment site to advertise your traineeship opportunities. Companies commit to providing a high-quality work experience opportunity, which is substantial and meaningful for the young person. The work experience element should last for at least 100 hours (a maximum of 240 hours for benefit claimants) over a maximum of six months alongside other training. Long enough to enable the young person to develop new skills and behaviours, which ensure they become work- ready and have the confidence to take the first step in their career to secure an apprenticeship or other employment. Employers offer a structured opportunity matched to the individual’s areas of interest and aspiration, where they engage in purposeful work-related learning activities rather than simple observation.